Tal is a chartered engineer with over 30 years’ research and development experience including 16 years at the Coal Research Establishment, three years training as a patent agent and 13 years as a director of Environmental Development Technology Ltd, running R&D projects in combustion and flue gas cleaning/air pollution control. He won two DTI SMART awards for innovation and an FP5 EU CRAFT project. He branched out into bio engineering in response to his own dilated ascending aorta in 2000. He founded the Personalised External Aortic Root Support – PEARS – project and started Exstent Limited to fund the research and development. Tal is an ex-council member of the Institution of Chemical Engineers, the Filtration Society, The Institute of Energy, a founding council member of the Energy Institute, and a current member of the Engineering & Physical Sciences Research Council’s Peer Review College. Tal is currently the Technical Director of Exstent Limited. 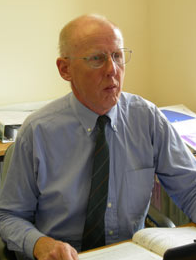 Peter Gibson has worked for most of his career within the surgical instrument and implant field, and has worked closely with key surgeons and engineers to create innovative surgical instruments, including the Selector® ultrasonic surgical aspirator, the NeuroSensor® Cerebral Blood Flow and Intracranial Pressure Monitoring System and the PlasmaJet® neutral plasma surgery system. An experienced business manager, his achievements include the start-up of four successful companies, a management buy-out, and the leadership of medical device companies in the UK, Italy, Finland, Germany, Sweden, France and the U.S. His expertise in the development of innovative products for global markets was acknowledged in 1997, when he was appointed as Royal Academy of Engineering Visiting Professor to the University of Dundee with attachments to the Departments of Surgery and Applied Mechanical and Electronic Engineering. 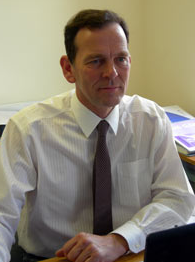 Peter Gibson joined Exstent Limited in 2005 and serves the company as Chief Executive. A graduate fuel and combustion engineer with 30 years’ experience in research & development engineering of boiler and incinerator plant, Peter spent 18 years with the NCB at Coal Research Establishment before founding EDT Ltd with Tal. A director of EDT for 13 years, Peter manages all of the boiler control, servicing and maintenance work within EDT as well as other Energy engineering based projects. 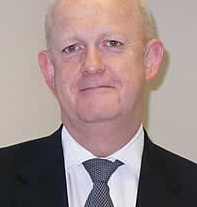 Ray started his career in financial services as a trainee manager, and in the years that followed he held various roles including that of national accounts director of a major insurance group. As managing director he built up London’s largest firm of independent financial advisors. In 2004 he decided to return to providing face-to-face financial advice and has since built a successful practice specialising in internet companies and media groups. 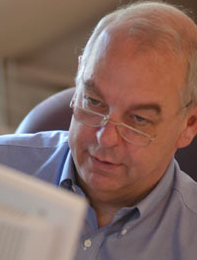 Ray is a Non-Executive Director of Exstent Ltd.